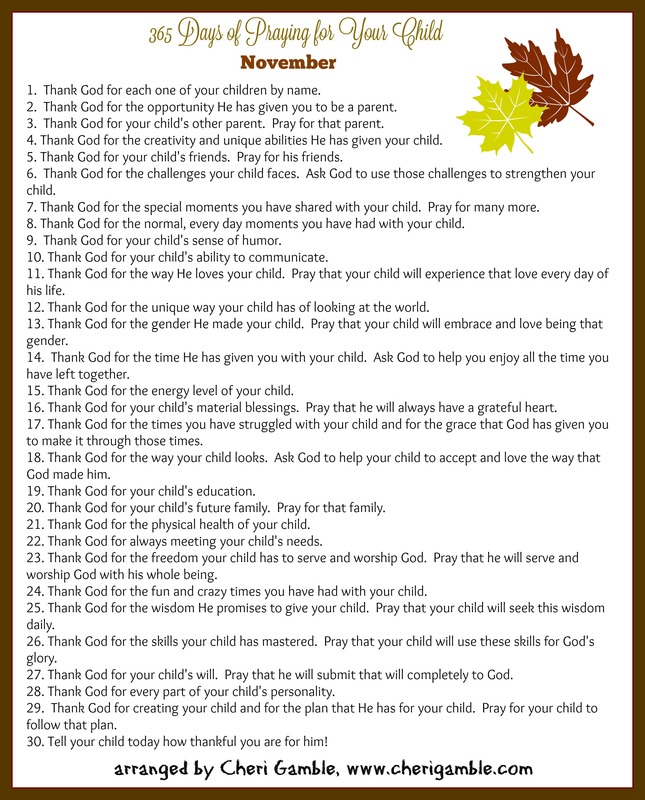 This is a prayer guide to help you focus the next 30 days on thanking God for your children. This month’s prayer guide is focused on thanking God for your children. I am thankful for boys who are willing to look like they are happy and having fun! Anyway, this month continues the 365 Days of Praying for Your Child challenge with an entire month focused on ideas for thankfulness. Imagine what could happen if we spent time every day thanking God for our children instead of complaining about our children . 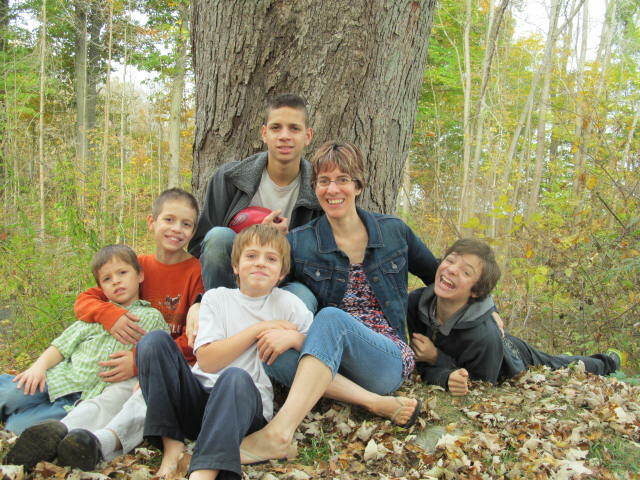 . . and then if we went one step further and told our children how thankful we are for them! Try telling them that every. single. day. That might just change a few attitudes . . . including ours. So print off this month’s calendar (or come back to this page every day to find the idea for the month) and focus the next 30 days on thanking God for the incredible blessings of your children. PS. 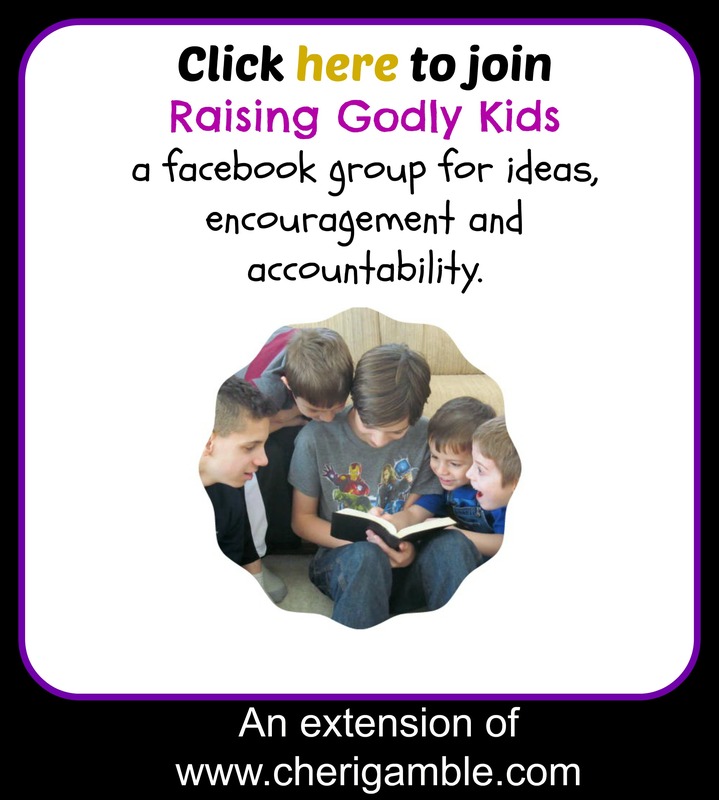 You might also want to pick up a copy of the November Prayer Calendar to share with your family, and then like my facebook page and join the group “Raising Godly Kids” for more encouragement as you live out God’s calling of being a godly parent. ONE MORE PS. I know that some of you might find this time of the year rather difficult. Perhaps you are going through circumstances that make it extremely challenging to have a thankful heart. Life is tough, and sometimes, after dealing with the hurts and struggles of life, we feel like we have little, if any, energy left over for giving thanks. If this describes you, please, please, PLEASE read Giving Thanks: When It’s Really Hard to be Thankful. I wrote it for you.